Tired of changing your child’s soggy bed sheets and pyjamas over the night? Don’t fret. You are not alone. This is called nocturnal enuresis and is an elimination disorder. Do not despair, instead treat this problem with patience and understanding and if needed, take help from a child psychiatrist/pediatrician. If bed wetting persists at least twice a week for three consecutive months beyond 5 years of age or it recurs after having at least 6 months of dry nights, it is considered to be problematic. It shouldn’t be a matter of concern, before the age group of five to seven years. This is the age when the child is still learning to develop a control on the night-time bladder. But if bed wetting still continues and does not seem like it’s going to stop, even after your child has outgrown the age bracket you may need to seek the advice of a specialist. Mainly there are two types of bed wetting, one being the primary type and the other being the secondary type. Children and adolescents are said to have primary enuresis when they have never acquired normal bladder control. By contrast, if a child acquires bladder control for at least six months and then loses it again is said to have secondary enuresis. This sort of relapse is most likely at the age of 5 or 6 and is rare after the age of 11. Primary and secondary enuresis are equally likely to be associated with a positive family history, but secondary enuresis has a worse prognosis and is probably associated with a higher likelihood of psychiatric disorder. Some reasons that are thought to be responsible are hereditary factors for example Bed-wetting can run in families, around 70% of affected children have a family history of enuresis in at least one first degree relative. Enuresisis associated with urinary tract infections (UTIs), particularly in girls. Enuresisis also associated with a reduced likelihood of waking up in response to the sensation of a full bladder. Contrary to what many families suspect, this is not due to sleeping unusually deeply. Nocturnal enuresis is associated with a high rate of urine production at night, as a result, bladder capacity is reached rapidly. This can occur due to decreased quantity of the hormone that regulates production of urine. Stress due to various environmental reasons including parental conflict, sibling rivalry, sexual abuse, new schooling, family break-up, separation from parents, moving house, the birth of a sibling, admission to hospital and accidents, recurrent hospital admission Bad toilet habits like ignoring the urge to pass stool may lead to hard stools and constipation. A loaded bowel can give rise to pressure on bladder and bed wetting. Which children need to be shown to the child specialist? Signs and symptoms of urinary infection e.g. burning pain while urinating, cloudy urine, red coloured urine, frequent urination, genital rashes, etc.. The usual things done by the child specialist are clinical evaluation, psychiatric evaluation, urine routine and microscopy, fasting blood sugars, ultra sonography of kidneys and bladder and ultra sonography of spine. If your child is under the age of 5 years, do not worry, enuresis is common and he/ she will outgrow it. Do not inadvertently reward and reinforce enuresis, ex by letting your child sleep in another bed once his/ her bed is wet. Praise and offer small rewards when your child remains dry by night. You can maintain a chart along with your child and mark with stars or special colours the days your child does not wet his/her bed. Set up a target (no of dry nights/ week) with a pre decided reward to help him achieve it. Do not scold, embarrass or threaten your child as he/she is not doing intentionally. It will increase the anxiety and problem will persist for a longer time. Avoid comparison with his friends/ siblings as this will aggravate the problem. Make sure your child goes to the washroom before putting him or her to bed. Try limiting liquid intake 2 -3 hours prior to bed time. Do not give caffeinated drinks like colas or tea in evening or night. Try to time when they pass in urine at night and wake them up before that. Toilet training and avoid constipation and ensuring a good diet will also aid in combatting bed wetting. Parents can play a major role in controlling bed wetting. They need to encourage the child to help with morning bed clean up, avoid fighting or quarreling in front of children, spend quality time with your children and talk to your children daily and talk to them patiently about the problem and reassure them. Instead of ignoring the problem, the parents need to sit back and find an effective solution to deal with the bed wetting episode. Showing deaf ears towards the problem and assuming that it will go away on its own accord, will not help tackle the embarrassment and physiological stress that both child and the parent goes through. 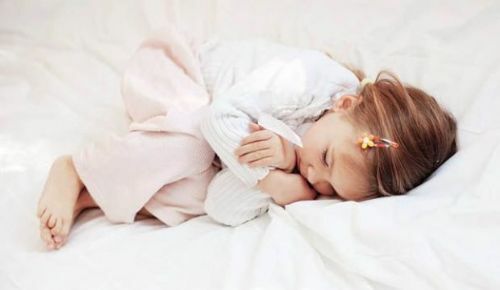 Child wetting the bed while sleeping is definitely a treatable condition which can be checked and dealt with patience and perseverance, understanding and medication. Parents should never hold the child guilty or at fault for wetting the bed at night. Always remember children don’t have a control on such situations. So if you degrade or penalize the child, it will only worsen their case. Punishing the child will increase anxiety and stress levels amongst them, making them feel ashamed about the bed wetting condition and might leave them with long lasting effects tarnishing their childhood and growing up years. The fear of being blamed for wetting the bed might just give your child sleepless nights, as he or she might be scared at the thought of falling asleep for the fear of waking up to a wet bed. Enuresis alarms play a significant role in overcoming bed wetting. If enuresis persists and the family is sufficiently motivated, the most successful behavioral technique for bringing about a lasting cure is an enuresis alarm. Alarms which go off when your child start urinating. When the alarm goes off, the child is expected to get up, go to the toilet, and change pyjamas and sheets as necessary (with parental help if needed). Cure rates of 60–80% are often reported, with children typically achieving 14 consecutive dry nights in the second month of treatment. These alarms are very effective but it may take a few weeks before you can see the results. They are available online in India. You can invest in waterproof mattresses or vinyl covers which will avoid soiling. Certain medicines and nasal sprays are available for bed-wetting which are effective but must be taken only after consultation with a child psychiatrist/pediatrician. Although bed wetting should stop at the age of 4, yet there are children who are still unable to stay dry throughout the night even after surpassing the age group of 5 years. Below mentioned is the statistical bed wetting data. 15 percent of children still wet the bed at the age group of 5 years. 7 to 10 percent of children still wet the bed even after completing 7 years of age. 15 percent of children often outgrow bed wetting as they grow older. Remember this is just a phase, it won’t last forever. With your love and support, your child can overcome this.